← Second Trailer for project TKWN: The Missing!!! Hopefully, all of you have heard of the new documentary, More Than A Game, which came out about a month ago, in theaters nationwide. Not the usual nationwide release, but a solid flick. I saw it last night at the $1 theater in my college town. An amazing asset, that you all should use if you have the capability. If you’re here in Lynchburg, and you’re not utilizing it, then you are struggling. Simply put. Anywho, back to the movie experience. I went to a 9:45 showing with my friends, Justin and Julius. Julius runs a quality music blog called, The Academy. So the three of us went to the movies, a trio of young black men, all rocking hoodies and skinny jeans. And it was Monday, so the admission was only $.75!!!! Craze! 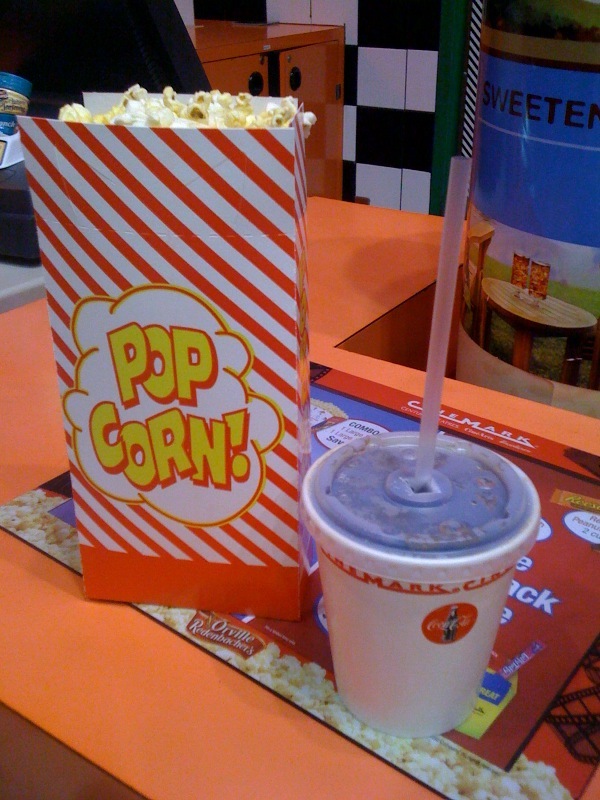 We decide we wanted some snacks, and I saw a sweet Monday combo deal for $2.50, consisting of a small popcorn, and the tiniest soda you’ve ever seen! Check out the pic at the bottom. So we walk into the theater, to find the film already in progress. We sat down, and joined the crowd consisting of us and three other guys. The movie was spectacular! Definitely a basketball movie, but not just for basketball lovers. Even if you’re not particularly a fan of basketball, like my girlfriend, Ashley Rose, you should still enjoy this film. As the title suggests; this documentary is about “more than a game.” It’s really a tale about how four kids come together from a young age, and turn into a great basketball squad and great group of friends. Sounds cliche, but that’s really what happened. And despite what it looks like, the movie really isn’t all about Lebron James. Obviously, he plays a major part, but he’s not the main focus. Each of the main guys, the “fab four/fab five” as they called themselves, is focused on, and equally detailed. And the soundtrack is excellent! It’s full of hip-hop jams from the early 2000’s, when all of the stuff was going on. Songs like Ja Rule’s “Livin it Up,” “Stronger,” by Mary J. Blige, and of course the super jam, “Forever,” with Kanye West, Drake, Lil’ Wayne and Eminem (who kills it!). So all in all. Give this one a watch. Not THE single best documentary of all time, but certainly a very good one. A great movie overall! This entry was posted in A Day At The Movies, Film, Rashan's World, sports and tagged A Day At The Movies, Basketball, Documentary, Film, Lebron James, More Than A Game, movie, sports. Bookmark the permalink. 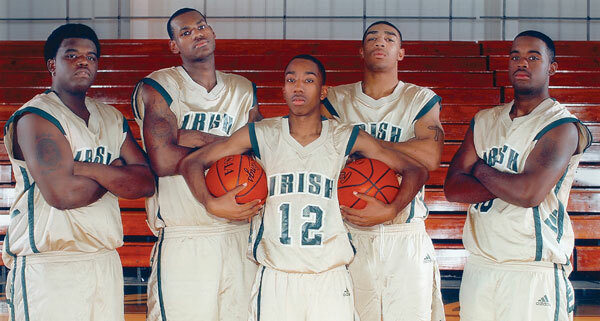 This movie was sick…I love that it wasn’t all about Lebron and was filled with things that people never knew before…it was straight up a backstage pass into probaly one of the greatest (high school) basketball stories. I mean of course Lebron did not disappoint, it was filled with amazing home video throught all of his basketball career from AAU to high school and awesome interviews. This movie is so not like through the fire, the Sebastian Telifair documentary but is somewhat comparable and the major selling point is that it’s playing at the dollar theater…I honestly feel like I ripped off the movie theater because the movie was so dope. It didn’t hurt that I went with my fellow black brethren who I enjoy spending time with and the combo was crazy comical…the popcorn they advertised was the size we got but they gave us cups that were honestly less than half of the size as the advertised cup but all in all it was a great night out off campus. Rashan keep up the good work, stay on your grind and let’s blow up…we major !!! Randy Boi’s for life !!! WOW… i gotta check this thing out!! also i gotta find a good time to come visit the Dolph with Hoffman. i gots to make the return.